contact Steven Keys or contact Steven Dasher. Total of six (6) series of 5-rounds for 30 rounds. 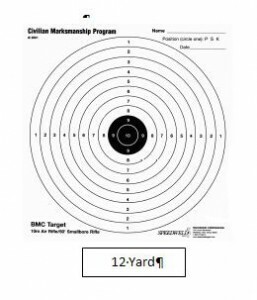 Cost per each match round is $3 – this includes "reshoots"
No handling of any uncased firearms while anyone is down range. Guns may only be loaded on firing line, at the command of the range officer(s). Magazines may be pre-loaded, but out of firearms until range officer(s) commands. Any firearms or ammunition that range officer(s) deems unsafe will be removed from event. 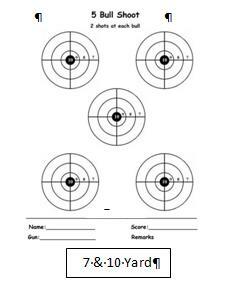 After shooting, do not leave the line until your gun is certified empty and clear by a range officer.